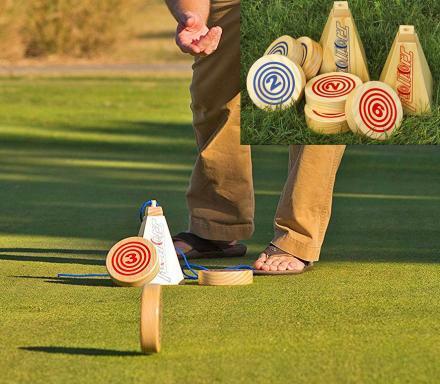 How it works is, there are two targets set up about 25 feet apart, and each person has their own set of rolling discs. 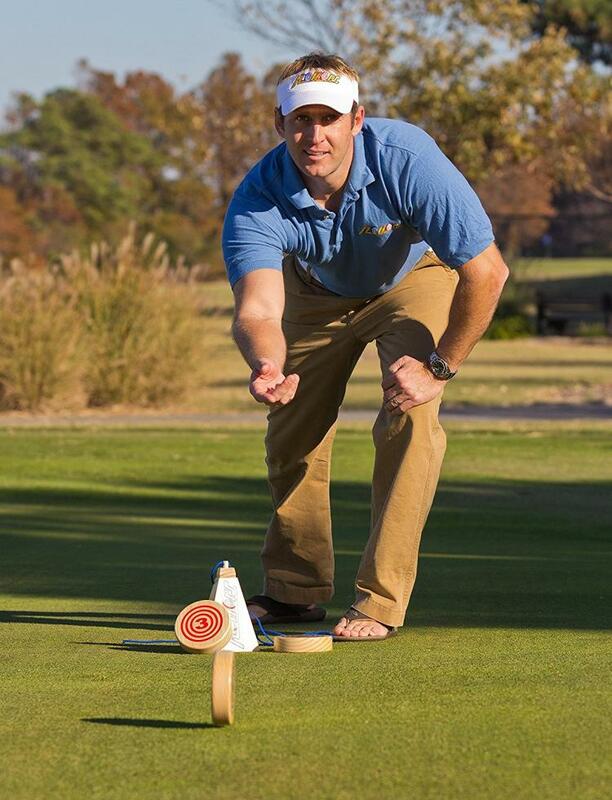 The players take turns rolling their wooden discs in hopes to hit the target on the other end, similar to horseshoes. 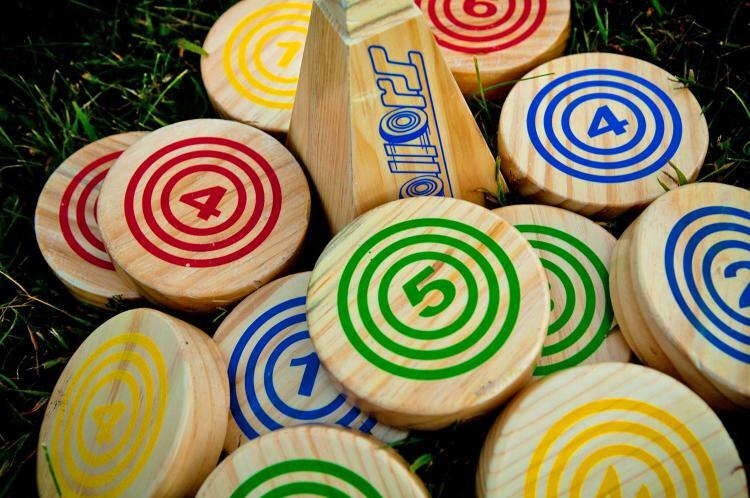 Each disc has two different point values on each side, and whichever side lands upright is the point value you receive. 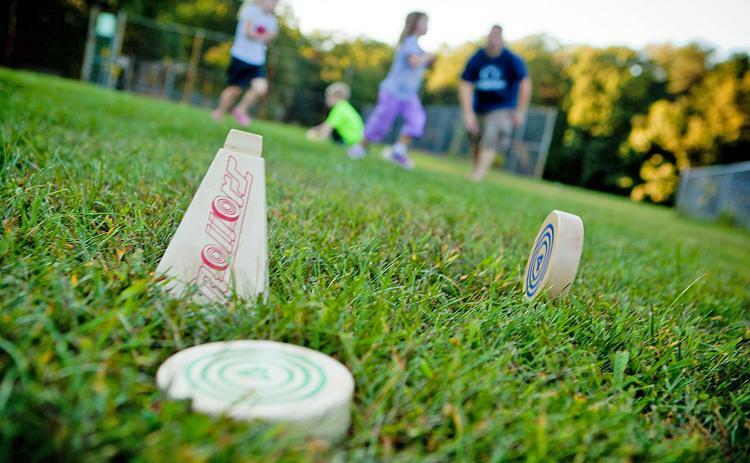 The point is to get your disc the closest to the goal, similar to bocce ball. 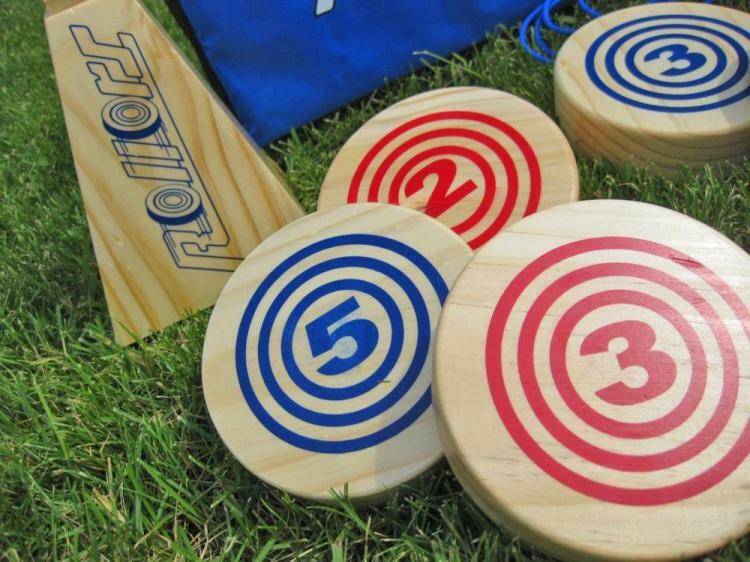 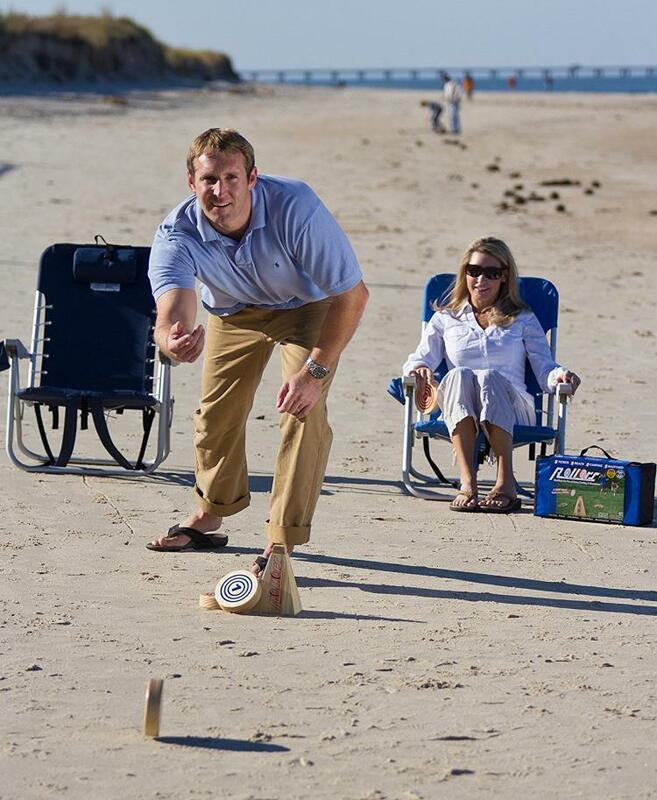 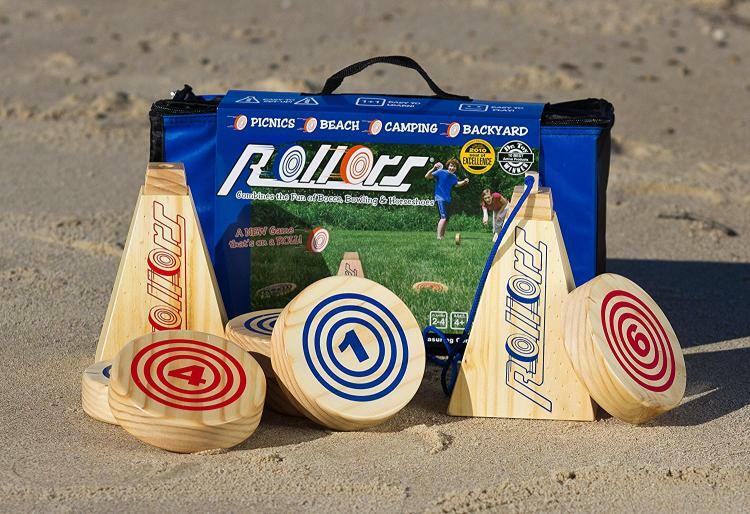 A perfect gift idea for the yard, and great for tailgating, picnics, festivals, at the beach, camping, etc, the Rollors yard game comes packed in a convenient travel case to easily haul it around wherever you go. 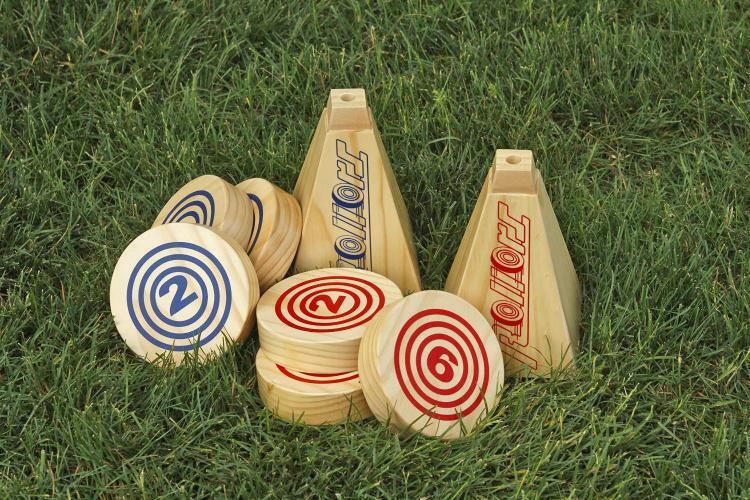 The game pieces are made from solid wood, are extremely durable, is recommended to play on grass or sand, and each disc measures 4.5 inches in diameter x 1.5 inches thick. 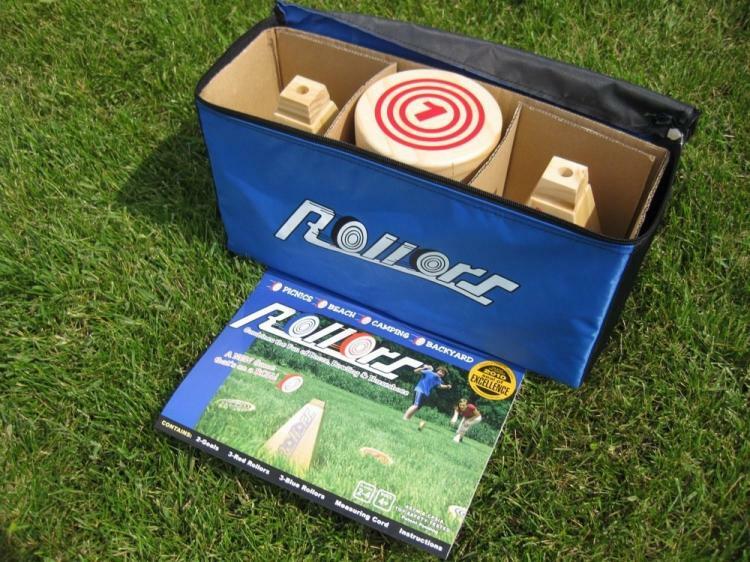 Check out the Rollors wooden disc yard game in action via the video below.